« Goji Berries – has anyone succeeded in getting a crop? I am trying to get a hold of Saskatoon berries/small plant and/or seeds for my primary school class to use as a ‘pitch’ for an inter-schools version of Dragons’ Den. I need to get these before 15th March. If you could help me with this I would be most grateful. The Dragons’ Den type competition is being run for primary school children for the first time although it has been done in secondary before. Our children researched healthy Scottish produce and came across this plant recently introduced to Scotland. They came up with a proposal for a new produce. This is an exercise in innovative thinking, presenting an idea whilst learning about healthy eating choices involving Scottish products. I thought it would be good for the children to have some berries for the ‘dragons’ to sample as part of their pitch. Anything else you could send to support us in this would be very helpful. The competition is on 20th March. 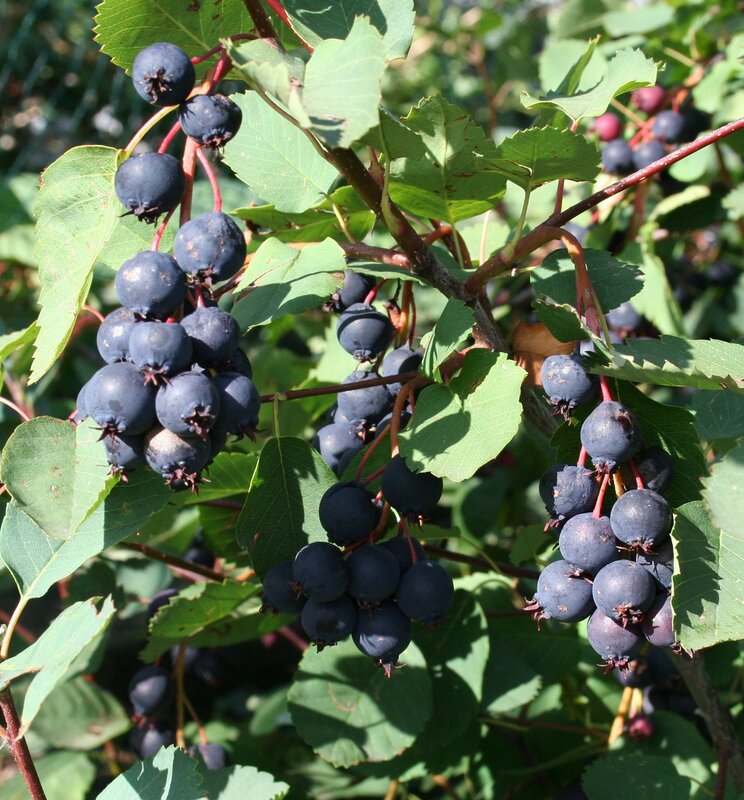 Fruit Forum: There is an article about Saskatoons on our main web-site and the name of a supplier – John Stoa. Photograph reproduced with kind permission from John Stoa.